Celebrating the release of upcoming film Toy Story 4 (in theaters June 21, 2019), Disney has just announced that Bo Peep will be making special meet and greet appearances at Disney Parks starting this summer. 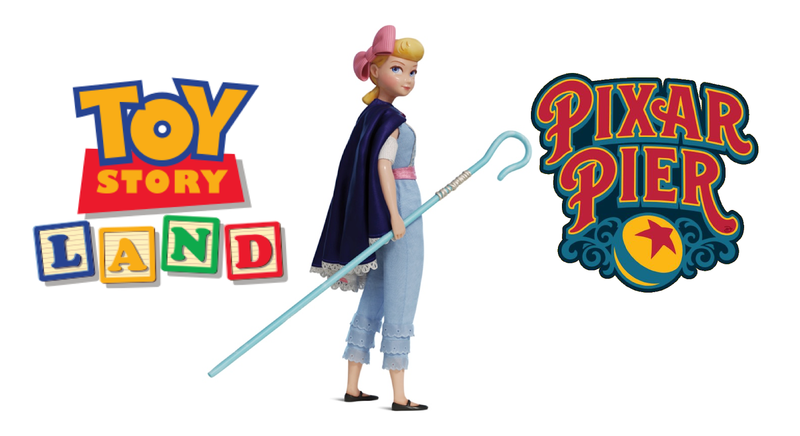 Fans will be able to find Bo Peep at Toy Story Land in Disney's Hollywood Studios, at Pixar Pier in Disney's California Adventure, Disneyland Paris and in the Disney Parks in Asia, according to the Disney Parks Blog. For Toy Story fans, the return of Bo Peep will be a pleasant surprise as she has been absent from the Disney Parks for quite some time. Her original Disney Parks appearance showcased her porcelain dress and face, however, with Bo's more agile appearance in Toy Story 4, we can't help but be excited to see her updated Disney Parks look. Disney Parks to offer Meet and Greets with Bo Peep from 'Toy Story 4' this summer.